1. We will set realistic goals each week AND actually complete these goals. 2. Sunday will be our Rogue Day, which means that we will EACH post a Rogue update, complete with photos and description of knitting trials, tribulations, and victories. 3. Rogue will be finished soon. We are working our way through the hood right now – I have no progress photos, but the first chart page is finished, and we are aiming to get through half of the second chart page by Sunday night. 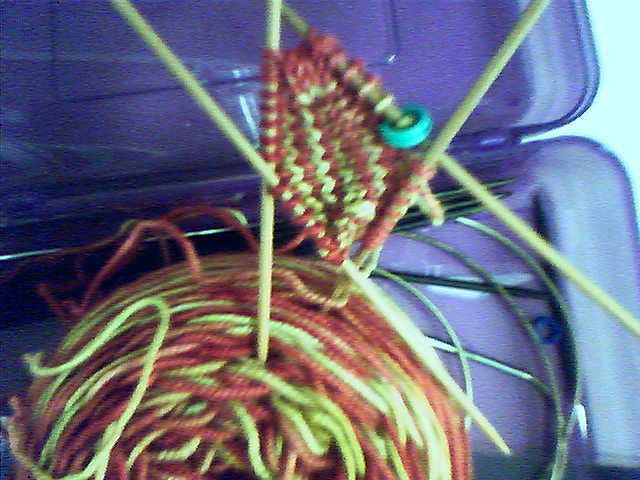 Oh, and I finished Tigersocks last night – S has them on right now (he actually wanted to sleep in them, but I put the kibosh on that), and casted on Prickly Pair Jaywalkers before work this morning! Yee-hawww!! !